The Benzinga Global Fintech Awards are a yearly showcase of the best and brightest in fintech. In preparation for its biggest installment yet in May 2018, we're profiling the companies competing for the BZ Awards. Our next feature is on Funding.com.au. What does your company do? What unique problem does it solve? Jack O'Reilly, managing director: Funding.com.au is a financial technology platform that provides real-estate secured loans to borrowers, and attractive mortgage investments to investors. The company currently assists borrowers seeking short to medium term mortgages through its end-to-end online loan application process. As the direct lender, it can assist borrowers with a quick, easy and cost effective settlement - in as little as two to three days. Borrowers’ loans are funded by funding.com.au direct investors, as well as online via its peer-to-peer investor platform. The platform was released last year and holds an impressive advantage over its market competitors. Unlike other prominent Australian peer-to-peer lenders including SocietyOne and RateSetter, loans issued by funding.com.au are backed by mortgages over Australian real estate. It is the first startup of its kind in Australia to gain regulatory authorization to allow both wholesale and retail investors access to residential and commercial mortgages. The platform gives investors direct access to the short to medium term mortgage market – a lucrative asset class that has traditionally been guarded by the banks and sophisticated investors. Once an investor has signed up, they can select, invest and manage their investments via funding.com.au, its online platform and professional management staff. An investor can choose to fully fund a loan, or invest alongside other Members in a particular loan (i.e. fractional investment). Each investment is in a single stand-alone mortgage and the investor can diversify their portfolio by selecting and investing in multiple investments on offer. Individuals, private entities and self managed super funds (SMSF) can participate online with an opening balance of $5,000. funding.com.au takes a common sense approach when assessing borrowers’ applications and only originates loans that have quality underlying security – typically lending to a maximum of 65 to 70 percent of property value. The loans are catered to borrowers that need a fast and flexible solution and who are prepared to pay a premium for the exercise. Given the short term nature of the mortgages, they are more expensive than your typical mainstream 30-year home loan which in turn allows funding.com.au to offer higher yields between 7 and 9 percent per annum. funding.com.au provides real-estate secured loans to borrowers, and attractive mortgage investments to investors. funding.com.au was founded in 2015.
funding.com.au operates Australia wide, with offices located on Australia’s beautiful and sunny Gold Coast. Who is your company's leadership? What kind of experience do they have? 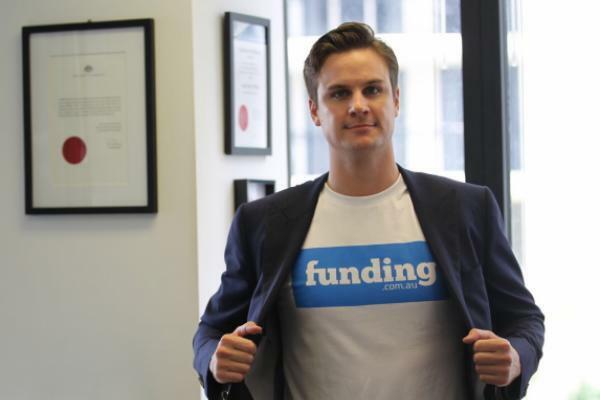 funding.com.au was founded in 2015 by mortgage lawyer, Jack O’Reilly. Jack has over nine years’ experience in lending, credit and mortgages. His broad experience includes all aspects from structuring mortgage products, assessing, originating and servicing mortgages, investing in mortgages, right through to legal recovery. Witnessing first hand the emerging market of borrowers searching for finance products online and understanding how technology is rapidly evolving in this space, Jack founded funding.com.au to service this growing demand. Jack also recognized the problems and pitfalls in the short-term mortgage market. The industry was being poorly serviced by the major banks - and often serviced by inefficient and sometimes disreputable non-bank lenders. Enter funding.com.au - an efficient, transparent and credible lender harnessing online technologies. No external fundraising rounds to date. To check out companies like Funding.com.au for yourself, grab a ticket to the Benzinga Global Fintech Awards May 15-16 in New York. Is SM Energy Company's (NYSE:SM) Balance Sheet Strong Enough To Weather A Storm?